The Master Lock No. 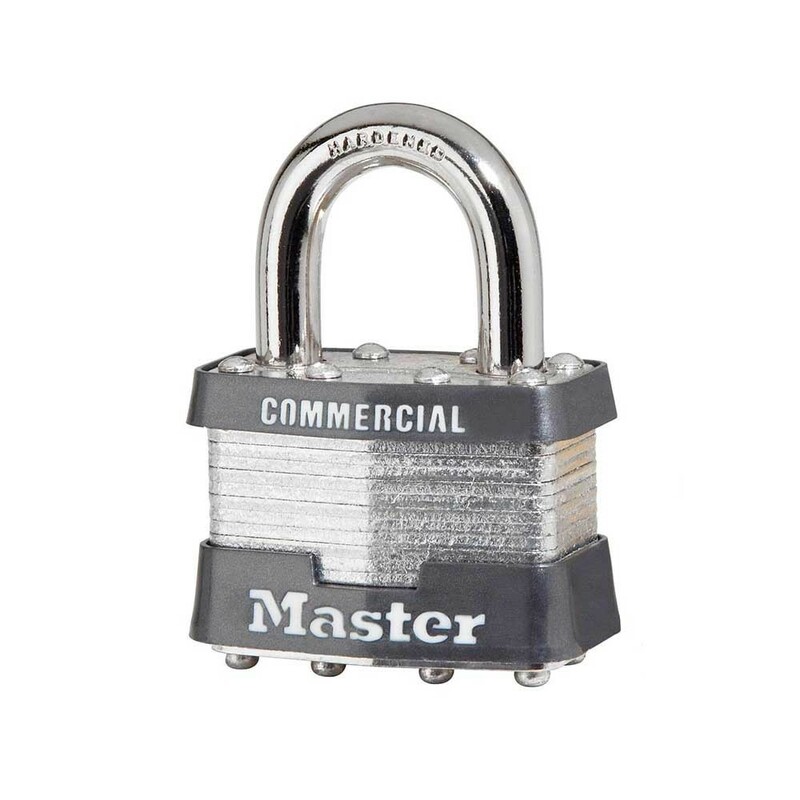 1 Laminated Padlock features a 1-3/4in (44mm) wide laminated steel body for maximum strength and reliability. The 5/16in (8mm) diameter shackle is 15/16in (24mm) long and made of hardened steel, offering extra resistance to cutting and sawing. The 4-pin cylinder prevents picking and the dual locking levers provide resistance against prying and hammering. The Limited Lifetime Warranty provides peace of mind from a brand you can trust. 1-3/4in (44mm) Wide laminated steel body for superior strength. 4-pin cylinder for added pick resistance.